Chazz, please share your story with us. How did you get to where you are today? Growing up as an only child, I learned how to be giving more than receiving contrary to the only child myth. My parents instilled various morals and values that not only contributed to my family but to others at all times. This provided substantial benefits for my family through the building of an authentic community. This is officially where my passion to assist others began. Call it a God-given talent molded by parental guidance that I have not lost today. Now, as an only child, I will say I was not spoiled but had access to be spoiled by others. One defining moment that I will never forget was when I was around seven years old and one of my father’s best friends and his wife came over with a child around five they were babysitting during the holiday season, and I remember overhearing that he did not have a good Christmas because he did not receive anything due to family issues. I immediately felt a demand to do something because I was saddened that this kid did not get anything, while I had everything I wanted plus more, and also, he was so nice and well behaved, I knew he couldn’t have been on the “naughty list!” I took him to my room and told him to pick anything he wanted in my GIANT toy-box as a gift from me to him. He moved slowly and was very shy but after some digging, he picked a small space shuttle that I had from around five years earlier. This shuttle could literally fit in the palm of your hands, nothing spectacular. I asked him was that all he wanted he said yes, and was overjoyed playing with the shuttle. On this day, I learned a valuable lesson that there are things you may look over or take for granted that will mean the world to others. Here, I had some of the latest and greatest toys and he picked a five-year-old small space shuttle. My life literally changed at that point. Fast forward to my teenage years, I operated with the foundation of that valuable lesson and let others know that anything I had whether material or knowledge I would openly share if they needed it, because I felt content with just being in a position to give something positive to others without anything in return or ulterior motives. Today, I am the same. In 2010, one of my best friends Donte Gaffney came up with an idea that we should study and become life coaches because it gave a title to what we did in giving people advice on how to grow successfully and accomplish their goals and dreams. He said, “We are really good at this and people always come to us for advice and by becoming official you can get paid for what you love to do.” I was in shock like really? I would do this for free because it’s my passion to help others and thought wouldn’t it be wrong to charge people to do that. Donte looked at me and said “What are consultants? What do they do?” After I answered he said, “Wasn’t that your goal out of college?” After thinking about it, I put it on the shelf and said that would be awesome to help others navigate through life and not overextend myself financially in doing so, but of course, I left it on the shelf and kept working the usual 9-5. Through a company downsize, I was out of work and transitioned to Houston, Tx from Atlanta, GA and met an amazing woman named Latasha Weatherspoon, who ironically had the same dreams as I, and had already created a platform to facilitate life coaching based on her passion and purpose. It felt as if the stars were aligned and it was simply up to me to follow my passion. During this time, I fell into my passion and love with Latasha by my side. Through my passion, I followed the advice years prior from Donte, while taking in the support with motivation from Latasha who is now my wife and became an Internationally Certified Life Coach, but also using my life experiences and scholastic achievement I also became an Internationally Certified Career Progression Coach, where I help employees, executives, and entrepreneurs ascend to the next level in their careers through professional development. Currently, I am living out my purpose where I assist others with all of my God-given talents in both personal and professional development. I live by the motto “Purpose over Profit” where I always put the people and the community first because the developing of people and communities creates the domino effect that positively changes the world. No, It was not a smooth road. I played a major role in it not being a smooth road by procrastination and undermining my own talents while letting the fear of the unknown hide my purpose. In doing this, overall aided to my success now because, during that time, I had some not so positive experiences that included separation from work, loss of friends, family deaths, and disappointments based on actions of others. My experience with all of those things has allowed me to assist others going through the same on both professional and personal levels. The Lifted Lifestyle – what should we know? What do you guys do best? What sets you apart from the competition? 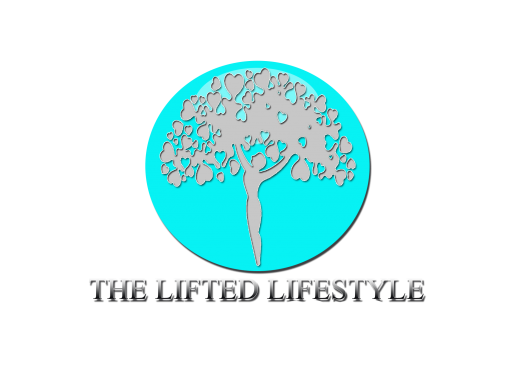 The Lifted Lifestyle is a training and development company focused on personal and professional development coaching. We are the company that accompanies you on your journey in both professional and life settings, helping you elevate and ascend into a place of success and higher achievement. I am the C.O.O. of The Lifted Lifestyle, as I call it the Creator of Opportunities. I specialize in Career Progression, Corporate & Entrepreneur Leadership, Professional Goal Setting, Relationship Readiness, and Vision Planning. As a company, what I am most proud of is the authentic product we provide our clients. When you see the growth and progression of something you did not demand of the client but something the client demanded of themselves while you joined them for the journey provides a moment money cannot buy. It is the feeling of my passion because I know their growth does not end there. These clients will transform their companies, families, and communities for the better! This is what sets us apart from other companies. We do not do the work for you or guide you to a place where we see is best for you. We allow our clients to define exactly where they want to go, how they want to get there, and when they want to get there. Once this is defined, we are a valued resource to the client, not the pilot or even their co-pilot. I like to think of The Lifted Lifestyle Coaching as the plane itself, as the plane does not go anywhere without a pilots direction, but is needed to help the pilot elevate and reach the destination of their choice successfully. Personally, I define success as operating in your purpose. Success to me is not defined by any outside markers because truly success can only be defined by the individual, and for me, that is living and operating in my purpose that leaves people and communities in a higher positive state than when I first connected with them. A daily success factor is simply looking back over the day and recognizing my interactions as being positive and contributing positively to all that I did. Simple as that. Sign up to stay connected with The Lifted Lifestyle!